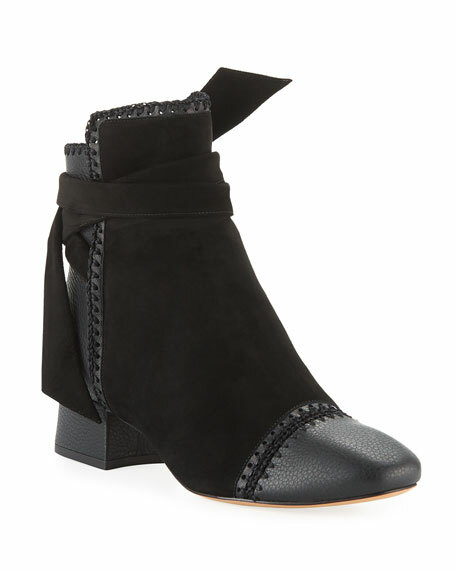 Alexandre Birman suede and leather booties with crochet accents and whipstitching. 1.5" covered block heel. Round capped toe. Notched vamp. Self-tie ankle wrap. Leather lining and sole. "Catherine" is made in Brazil. Alexandre Birman booties in suede and natural calf hair (Brazil). 3.5" covered block heel. Round toe. Back zipper eases dress. Leather lining. Smooth outsole. Made in Brazil. Aquatalia classic suede Chelsea booties with gored sides. Shaft, approx. 3.5"H with 11.4" opening. 1.5" stacked block heel. Round toe. Pull-on style. Pull-tab at back collar. 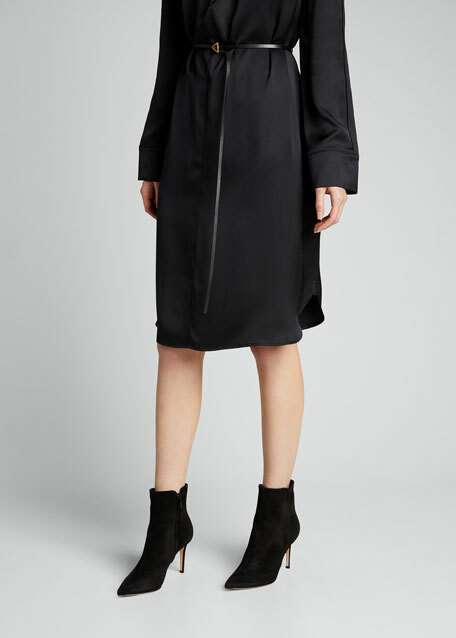 Neoprene lining. Rubber outsole. "Falco" is made in Italy. Exclusively ours. 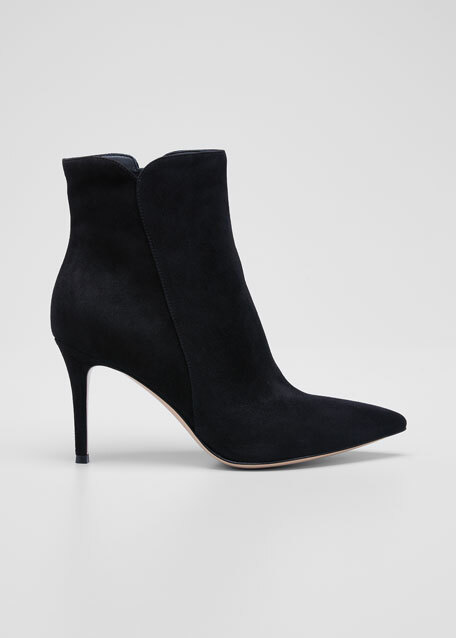 Aquazzura "Sonam" calf leather booties. 4.3" covered stiletto heel. Open toe. Self-tie center at vamp. Cutout sides. Leather lining. Smooth outsole.